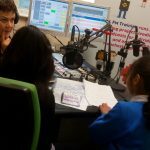 In July St. Mary’s CE Primary School, Moss Side broadcast their ‘Through the Ears of a Child’ audio project on ALLFM 96.9 FM. 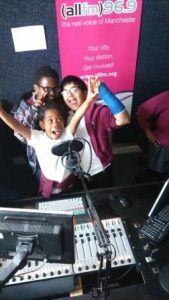 This project saw ALLFM work with St Mary’s in researching the lives of Moss Side children in WW1. 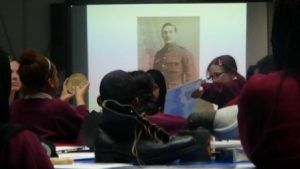 Visiting; the Imperial War Museum, the People’s History Museum, the John Rylands Library, as well as welcomeing an expert to St mary’s from MMU, the children learnt about the lives of Manchester children in 1916. They then worked with a writer and Soundscape artists to write monologues from the point of view of a Manchester child one hundred years ago. 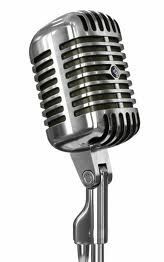 They then recorded these monologues at ALLFM. The monologues were broadcast on ALLFM alongside a soundscape of the sounds of Manchester from 1916.